This post is the first in a series that will provide an analysis of the various hotel reward programs. The analysis of the reward programs will include information on the participating hotel chains, ease of earning points, point redemption options and costs, program tiers, and, finally, an overall evaluation of the program. As more programs are reviewed a side-by-side comparison of the programs will be provided along with the program’s Martini score, our unique valuation for reward programs that will allow you to effective compare programs. St. Regis® – Luxury full-service hotels, resorts and residences located in the ultimate locations within the world’s most desired destinations. The Luxury Collection® – Luxury full-service hotels and resorts. Unique hotels and resorts offering exceptional service to an elite clientele that include legendary palaces and remote retreats to timeless modern classics. These hotels are distinguished by magnificent decor, spectacular settings and impeccable service. W® – Luxury and upscale full service hotels, retreats and residences featuring world class design, world class restaurants and “on trend” bars and lounges. Westin® – Luxury and upscale full-service hotels, resorts and residences is a lifestyle brand competing in the upper upscale sector in nearly 30 countries around the globe. The hotels are characterized by service and offering among the highest for the everyday business traveler with their famous Heavenly Bed® and Heavenly Bath®, in-room spa treatments, WestinWORKOUT® Powered by Reebok (SM), and healthy menu options. Le Méridien® – Luxury and upscale full-service hotels, resorts and residences. A European-inspired brand with a French accent that has a distinctive character driven by its individuality and the Le Méridien brand values. With its underlying passion for food, art and style and its classic yet stylish design, Le Méridien offers a unique experience at some of the world’s top travel destinations. Sheraton® – Luxury and upscale full-service hotels, resorts and residences is Starwood’s largest brand serving the needs of luxury and upscale business and leisure travelers worldwide. 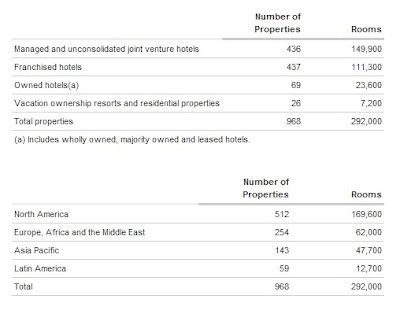 Hotels vary from full-service hotels in major cities to luxurious resorts by the water. Sheraton hotels can be found in the most sought-after cities and resort destinations around the world. Four Points® – Select-service hotels for the self-sufficient traveler. Aloft – Select-service hotels that are a new addition to the Starwood brand that bring a cozy harmony of modern elements to the classic American on-the-road tradition for the business and leisure traveler. Element – An extended stay hotels that is also a new addition Starwood brand. The hotels provides a modern, upscale and intuitively designed hotel with an emphasis on nature. Starwood Preferred Guest (SPG) is the reward program for Starwood brand hotels. The program is recognized as an industry leader having earned numerous Freddies, awards given to the best frequent flyer and hotel bonus programs as rated by frequent flyers, and providing exceptional value to participants. The program is free but be aware that the points will expire if there is no activity on the account for 12 months. Members at the Preferred Guest® level earn two Starpoints for every eligible U.S. dollar spent at participating hotels or resorts. Gold and platinum members earn three Starpoints for every dollar spent. Per stay, platinum members are awarded a platinum amenity that can include a free on-demand movie, food, or, for the point consensus, 500 additional points. A $100 night at a Starwood property would translate to 200 points, 300 points, and 800 points at preferred, Gold, and Platinum levels, respectively, assuming points are selected as the platinum amenity. Points can also be earned with the SPG American Express credit card and through partnerships with a few retailers and rental car companies. The SPG American Express card is currently offering a 25,000 point bonus for new cardholders so take advantage of this offer if you are able. The SPG program provides several options for you to redeem points. Free and discounted hotel nights, of course, are a redemption option but Starwood also allows points to be redeemed for airline miles, gift certificates, train travel, and unique experiences such as movie premieres and concerts through SPG Moments program. Hotels are divided into seven categories ranging from one to seven with seven being the highest level of hotels. In addition to being able to redeem points for free nights outright, there are options to reduce the cost of hotel stay by using a combination of points and cash, upgrading your room, or reducing the costs of the room by 50%. The best value in most instances is to use your points for free hotel nights especially those in the lower category levels. There are some decent hotel options in the lower levels including a Sheraton in Salt Lake City and a Sheraton near the Baltimore Washington International (BWI) airport. Points can be redeemed for airline miles on a 1 point to 1 miles basis with most airlines. 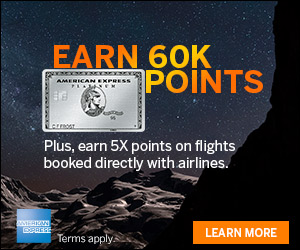 If 20,000 points are redeemed then a bonus of 5,000 miles are awarded. You can also redeem points for a flight directly from the SPG program. You may pay a premium for the ability to purchase a flight directly with points but the flights are not subject to blackout or restrictions. Keep an eye on our site for announcements regarding special redemption periods where points can be converted to airline miles for additional bonuses. During the fall of 2008, 20,000 SPG points could be redeemed for 62,500 miles. These opportunities are few and far between but they do occur. 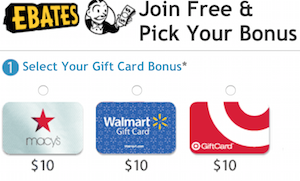 Finally, points can be redeemed for gift certificates. Not the best use of hotel points but the gift certificates do allow you to use points for something besides hotels or airline miles. Gift certificates are available from such retailers as Amazon, GAP, Nordstroms, Westin at Home, Williams-Sonoma, Avis, and iTunes. Flush with free reward nights and ample airmiles, I have converted points to Amazon gift certificates to purchase camera equipment. 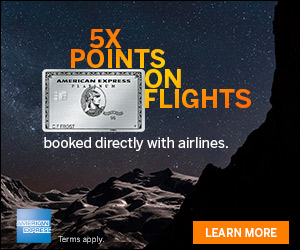 The best conversion rate for points is 14,000 points for a $150 gift certificate. The hotel reward programs are great for hotels and travelers as loyalty to programs, and the hotel chains that offer them, can increase if the program’s value is perceived to be high. Starwood’s SPG program is no exception. The various options for redeeming miles and the value of the miles when redeeming is a strength of the SPG program. Especially nice are the hotel options in the lower category hotels that allow you to stretch your points further while still providing a relaxing, enjoyable night stay.